Valerie Murphy, a Mastectomy Fit Specialist based in the mid-west of Ireland, will be joining us here on Happy Magazine regularly over the next few weeks for a special series of posts. Valerie will be sharing her travel experiences with women going through treatment for breast cancer in various countries of the world. Today on World Cancer Day, Valerie recounts one of her first travel experiences to a hospital in Vietnam, where she shared her knowledge with women at a breast clinic, and learned that we are all the same, no matter where we are in the world. 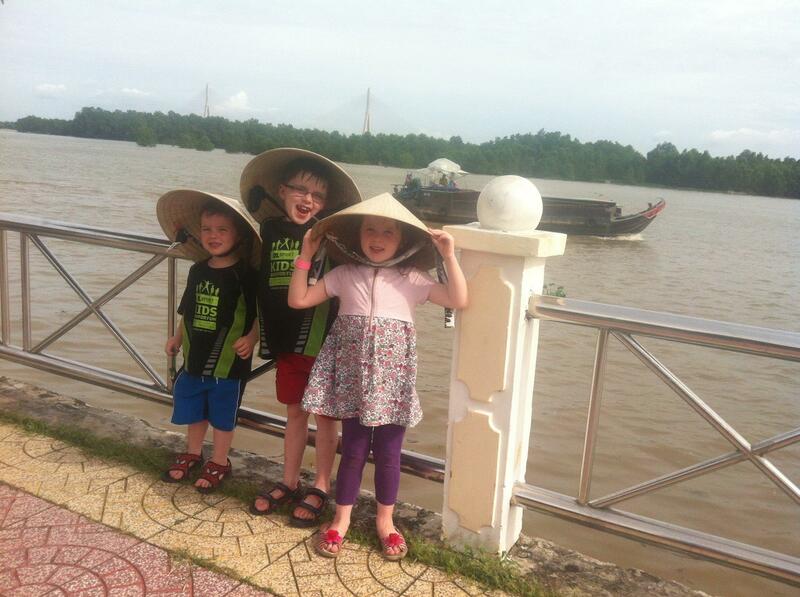 In December 2014, my family were very lucky to travel to Vietnam for two months. My husband Finbarr had the opportunity to work at a Vietnamese university. We were very excited to have this adventure with our children, who were aged seven, five and three years old at the time. We were staying in the city of Can Tho, which is south of Ho Chi Minh City. Almost as soon as we arrived, we fell in love with the city and its people. The Vietnamese people are the most friendly people I have ever met. They are just constantly smiling and seem very happy in their lives. Through Finbarr’s work at Can Tho University, he was introduced to medical workers. A very nice Australian doctor, Julie, was one of the group and she became friendly with our family. 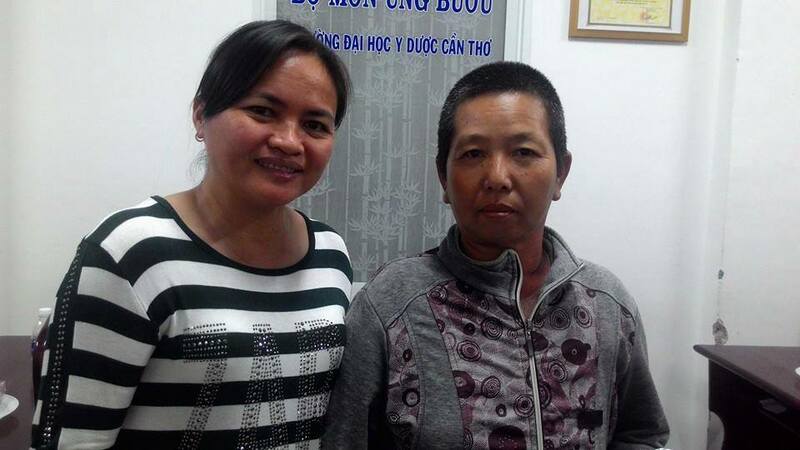 Julie had lived in Can Tho for some time and was working at the local hospital in Oncology. I told her about my work in Ireland, where I had a mastectomy fitting service and she immediately offered to introduce me to Dr Trung who was over the Breast Clinic in Can Tho Hospital. I was delighted as I was very interested in finding out about the supports Vietnamese women had after going through surgery. Dr Trung and I met for coffee. I immediately liked this young doctor who came from the countryside of the Mekong region. He had been working in Can Tho Oncology for a number of years and it was very obvious to me, how passionate he was about his work and how much he cared for his patients. He spoke about the women and he told me how little they had but that he hoped for things to improve with Government support. 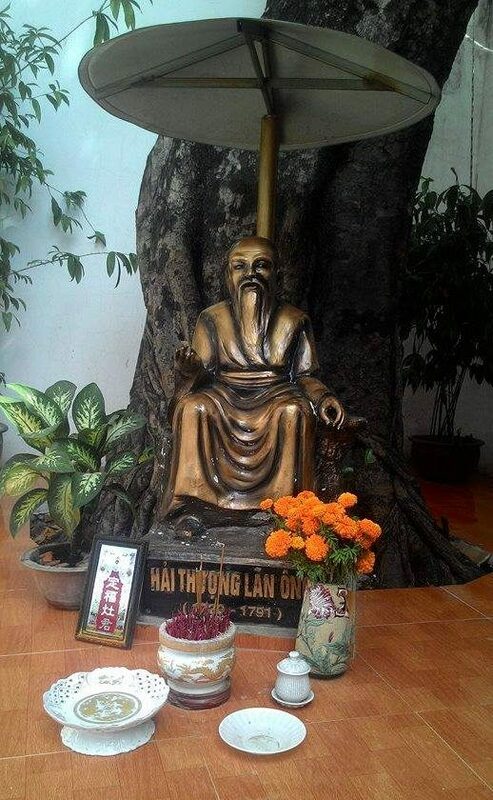 This statue is of the first doctor in Vietnam back in the early 1700’s, his name is Hải Thượng Lãn Ông and he is quite famous. People leave offerings of food, drink and flowers. The hospital relied on outside support and had recently received a new x-ray machine, donated from India. Dr Trung also told me that along with others, he had been involved in setting up a Breast Cancer Group. I told him that I had trained in America as a mastectomy fit specialist and set up my mastectomy service in the mid-west of Ireland only the year before, in 2013. He was very keen for me to meet his patients at the hospital and asked me to talk to them about life for women in America and Europe who had gone through breast cancer. I couldn’t refuse. 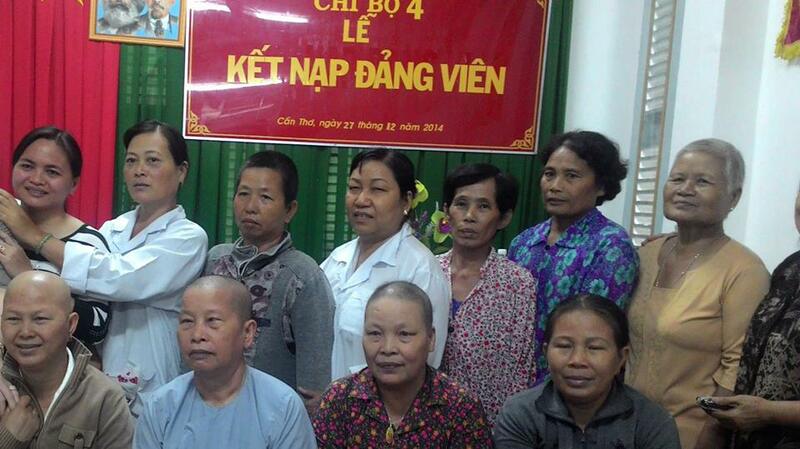 I worked on a presentation and a few weeks later I felt privileged to meet Dr Trung’s patients at Can Tho Hospital. The objective of my presentation was to inform the women about the post-operative care we have in Ireland and also of the care in the USA, which I also had knowledge of. Dr Trung stressed to me that he really wanted me to convey to the women that wherever we are in the world, we have the same concerns and thoughts once we are given a cancer diagnosis. I also felt this was important and agreed to bring it into the presentation. 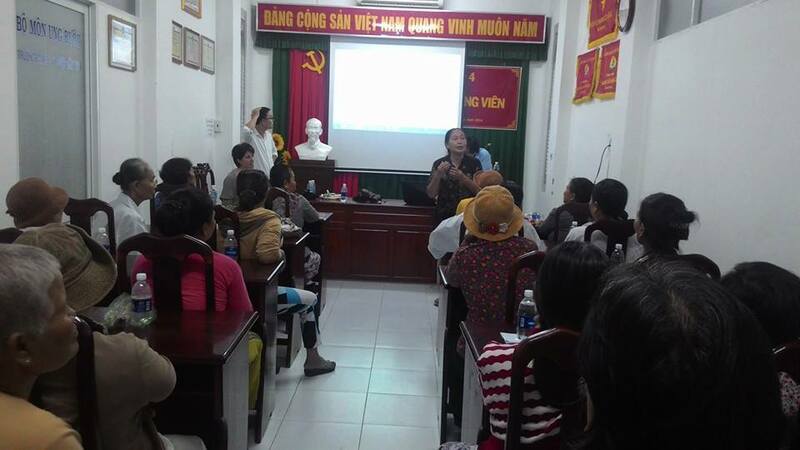 With the help of a translator and many slides, I hoped to give a few ideas to the women in Can Tho. The meeting was scheduled for 7:30am on a Saturday morning. Everything begins early in Vietnam. I arrived at 7:15am and I walked into a room full of people. I was taken back by my own emotions. I didn’t realise how emotional it would be for me. The women greeted me with hugs and kisses. It was really lovely. I was nervous because of the language barrier. I had only two words in Vietnamese, xin chào and cảm ơn bạn (hello and thank you). I was immediately reminded how important body language is. Smiling, nodding and shaking hands can make a better connection between people than any conversation. I had seen this already with my own kids playing with Vietnamese kids during our trip and at their Vietnamese school. The women were very welcoming. 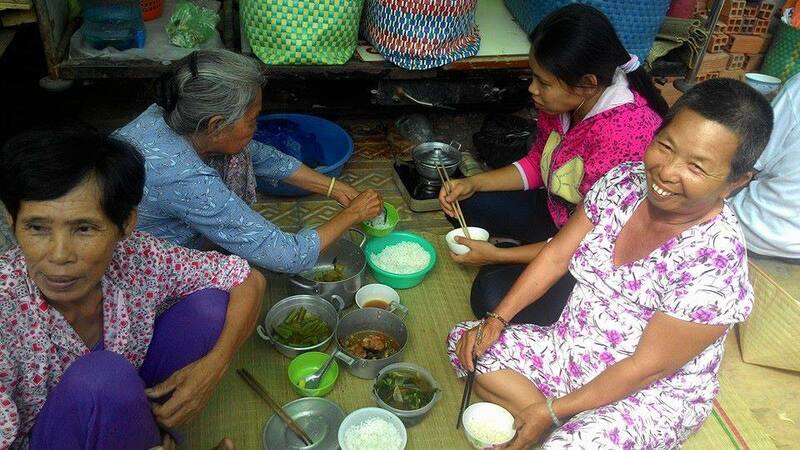 Twenty three women came along, some from the city and some from the villages situated along the Mekong. A number of the women (dressed in white) were current patients, in the hospital. A few family members attended, including one husband who hoped to learn something for his wife, who had just undergone surgery the day before. Some of the women in the Breast Cancer Group. The group was formed by Carolyn Taylor of Global Focus on Cancer. Carolyn gave me some advice on my presentation to the women. I was introduced by Dr Trung and I gave my presentation, which I hope helped in some way. These women did not receive government assistance. If they did not have private health insurance, then they had to pay for their treatment. If they could not pay, then they were not treated. I wanted to give as much information as possible on products we use, hoping the women could take some inexpensive ideas with them. These two women met through the hospital and have been friends since. We talked about the differences and similarities between the different countries. I measured each woman and I promised to send mastectomy bras and accessories as a donation from my service, Valerie’s Breast Care. One of the women speaking to the group about her story and how she was coping following her own breast cancer surgery. Dr Trung showed me around the hospital afterwards. Conditions were not so good. Two or three women had to share a bed. 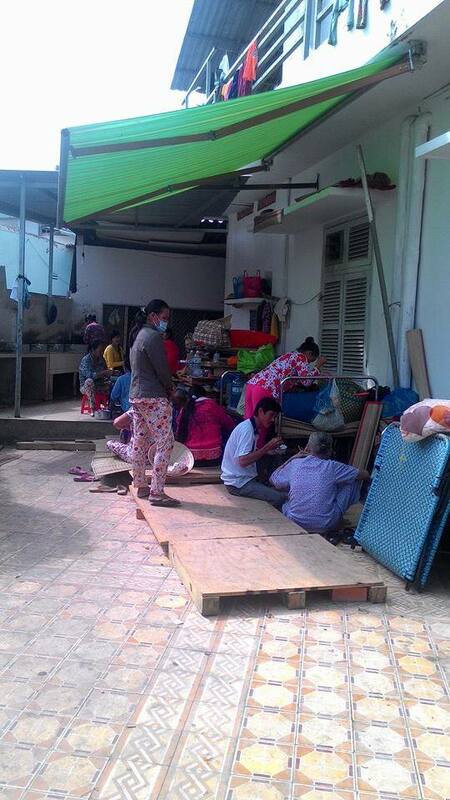 Many women were on temporary beds in the corridors. The hospital staff had to work with a small amount of equipment and space. This area was quite social. People were eating, reading and hanging out. Many patients got dressed during the day. Washing was hanging on lines in this area. However as I walked through, I met some of the women from the breast cancer group that had been at my presentation and it was very obvious that they had a great camaraderie among each other. There was a lot of laughter and definitely a bit of craic. My favourite photo of the day was the one above, of the women eating lunch together in the outdoor area of the hospital. It shows happy people supporting each other. When I got back to Limerick, I sent over the package of mastectomy bras with accessories and they were so grateful. Dr Trung and I are still in contact. We send each other greetings every New Year and I hope someday, I get to visit Can Tho and the breast clinic again. I often look back on the photos and think of these women and how supportive they were to each other. Having had this experience in Vietnam, with these wonderful people, I have since then looked up mastectomy shops, visited and got detail on what other countries provide women going through breast cancer. It makes the world so much smaller when I see that we are all the same, wherever we live. We still have the same concerns and thoughts. Supporting each other and being kind to each other means everything. Valerie’s multi award winning service in the area of mastectomy fitting has provided for hundreds of women in the mid-west of Ireland. Valerie’s kind, caring approach and genuine desire to help women shines through when she talks about her business. If you are based in the mid-west and would like to make an appointment with Valerie at her customised fitting room in Limerick or avail of a free home visit anywhere in Limerick or the surrounding counties, you can call her on 085 160 1783 or find her on Facebook here. Alternatively ask about a fitting at your local cancer support centre.